Certified Insurance Counselor (CIC) designation earn and retained since 2008. 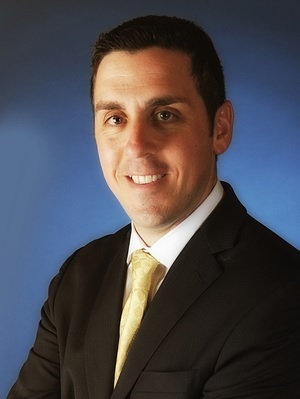 Dan Faustina brings twelve years of experience to Cannabis Insurance Associates with an extensive background in self-funded employer plans, disease management and wellness consulting. Previous to Brown & Brown, Dan was Vice President of Employee Benefits at CCI Financial & Insurance Solutions. He began his career as a Sales Executive for Great-West Healthcare where he managed a large book of self-funded business. William “Bill” Lavis has led the Employee Benefits practice at Sitzmann Morris Lavis (SML), now a part of Brown & Brown since 1988. He started his employee benefit career with Canada Life in 1986, joined SML two years later and became an executive in 1993. Bill has helped grow SML into one of the largest and most respected insurance brokerage and benefits consulting firms in Northern California. In addition to being a member of every major insurance carrier’s Broker Advisory Board, Bill is also active in industry groups including the Golden Gate Health Underwriters Association, the California Association of Health Underwriters and the National Association of Health Underwriters. He is recognized as one of the nation’s leading experts in designing consumer driven health plans, creating alternative funding options and building cutting edge care management & cost control programs. Bill brings his extraordinary talents to the Cannabis Insurance Associates, in order to help clients find the right benefits solution for their business. Nate White began his career at Great West Life in 2000. Most recently, he served as the 401(k) Regional Sales Director with their Retirement Services division. In October 2007, Nate White joined SML to form an investment advisory and retirement planning firm. This firm which has been recently renamed to SLW Retirement Plan Advisors, is independently owned and operated by Gary Sitzmann, Matt Sitzmann & Nate White. Nate serves a the Managing Principal and is responsible for the strategic management and production of all qualified plans and wealth management. He is now bringing his many talents to Cannabis Insurance Associates, to help customers with financial planning.